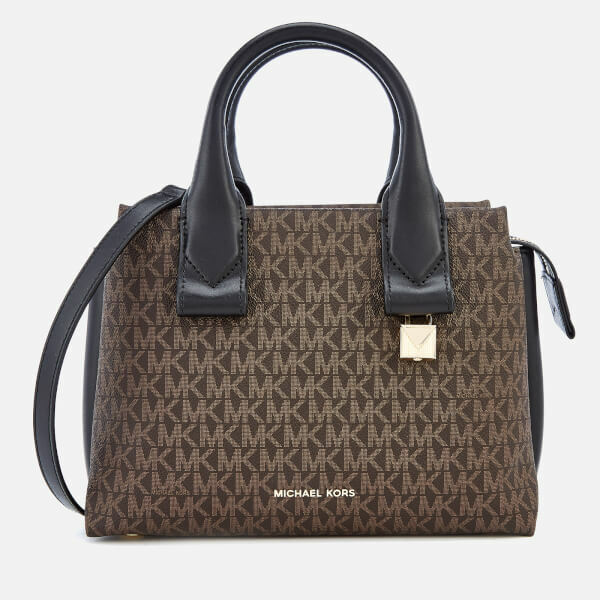 Logo print tote bag from MICHAEL MICHAEL KORS. 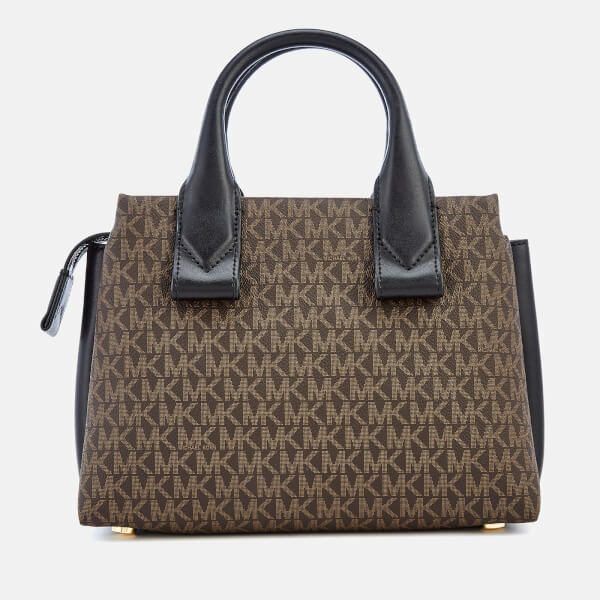 Presented in textured leather, the brown ‘Rollins’ handbag features twin contrasting top handles and an adjustable, detachable cross body strap for multiple styling options. 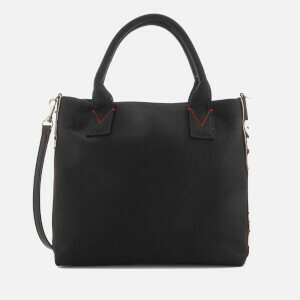 The suede-lined interior with zip and slip pockets is secured with a zip fastening. Finished with gold-tone hardware and protective metal feet. Dimensions: H: 18cm x W: 25cm x D: 11cm. Handle Drop: 9cm. 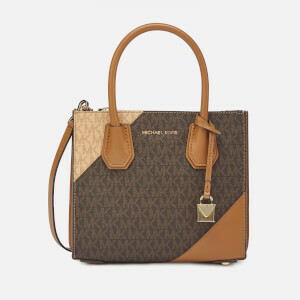 Strap Drop: 56cm.